TrainerQuals Accreditation Board supports the development, delivery and assessment of Accredited Awards for trainers working within the healthcare sector. To ensure that our Accredited Awards meet the requirements of the healthcare sector, TrainerQuals has an Independent Accreditation Board. The Board consists of a group of professionals who have a significant role within the healthcare sector. These individuals are heavily involved in the day to day issues faced by those with a responsibility for healthcare provision. The board is the final decision maker with regard to the Accredited Awards that are offered by TrainerQuals and they also approve the applications of suitable training providers to deliver the Awards. Daisy, apart from being a qualified nurse, has also been involved with helping to ensure healthcare training compliance. Her role as Responsible Officer is to ensure that both high levels of the awards and certification are maintained. 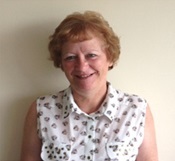 Sandra, is a former CQC Lead Inspector and has a wealth of experience with regard to ensuring that care services were measured against CQC Standards and the regulations under the Health & Social Care Act 2008. Sandra helps ensure that TrainerQuals Awards are mapped to regulating and inspecting body requirements. 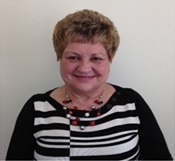 Angela, is a quality assurance manager for a group of nursing homes in Hampshire. Angela’s role within her organisation is to ensure compliance with CQC Standards. Angela is well known in the Hampshire area for her wealth of experience in training provision and quality assurance within the healthcare sector. Simon, who undertakes our independent External Quality Assurance, has a wealth of experience working as a External Quality Assurer and Moderator for Awarding Bodies. 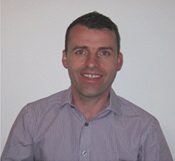 Simon is also a trainer for Awarding Body events for assessors and internal moderators. Simon’s role is to support the development of TrainerQuals Accredited Centres and to audit them to ensure they comply with the standards required for approval and on-going compliance.